This weekend sees the start of the Sailing Season with both racing and RYA Sailing Courses taking place this weekend. It looks to be a busy weekend - fingers crossed for some good sailing conditions! This weekend sees the first of our youth sailing course - RYA Youth Stage 2/3. It is taking place Sat 6 Apr, Sun 7 Apr & Sat 13 Apr. Lunch will be sausage and onions in bread roll and /or home made vegetable soup. Jacket Potatoes with choice of topping (Chilli, Cheese or Beans). Hot Sausage Rolls & Doughnuts also available. Welcome everyone to the beginning of the season; you know - that time of year when you wonder where all the ropes go when reassembling boats, or why the mice had to chew up your spinnaker to make a nest. It is also the time when you discover that cold winter weather makes wetsuits shrink wherever you stored them. Despite all that, I hope that you are all in training for the coming season whether you are beginners taking up opportunities on courses, improvers or our competitive members. You can find opportunities for all abilities and our training team is there to offer advice and encouragement. Thanks must also go to the sailing team behind the scenes who have had the thankless task of allocating duties to fill the missing spaces once the voluntary allocation period ended. WIthout support teams in place for Race Officers and Safety Boat teams - we cannot race. We would like more Race Officers and are happy to run another training course to increase our numbers. Keep Calm and Carry on Sailing! DID YOU SPOT THE ERROR? Residents of Stubbington may have received a copy of the local magazine "Stubbington Choice". Eagle-eyed observers will have spotted the error in the HHSC advert promoting our Push the Boat Out Event in May. The date should have read SUNDAY 5th May (& not Saturday). The day starts at 9am. Please do all you can to share the correct DAY with your friends, family and acquaintances in the local community. A reminder to all outstanding boat, trailer and tender owners to collect their stickers from the club lounge to enable management of your parking spaces. 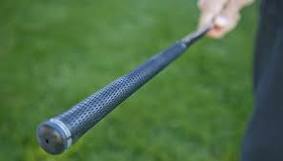 GOLFERS, please bring your unused irons to the club for recycling - we convert the handle grips to dinghy tiller extensions. The Big Spring Beach Clean is the UK's biggest beach clean event, mobilising over 30,000 authentic community volunteers at locations nationwide. Let's support our local community and keep our beaches clean!! Join the team at Meon Shore, Sunday 7 April, 9:30-12pm to be part of this community movement. NB This is a Meon Shore organised public beach clean event (not a HHSC organised event). There will be a few litter pickers, lots of gloves and bags to collect rubbish in. But feel free to bring your own. The team will be sorting the rubbish and collating the information to help support the demand for a bottle deposit scheme. They'll also be recycling whatever items they can. A small number of hot refreshments available afterwards, bring your own mug. On completion of Sea Kayak Leader Training one a scout leaders turned his VHF Radio off, packed up his kit and went for his debrief. Driving to the hotel he could hear an alarm going off. His VHF had turned itself on and started transmitting an automatic distress call. The radio had totally locked out and he had no functionality. He stopped the car and called the coastguard and they believed that the distress call had not been confirmed or received at that time. Apparently it happens alot with hand helds when they get wet. Even when they are waterproof!! After eating his evening meal, he went back to his room to find that his radio had once again turned itself on and had transmitted another distress call that had been recieved and acknowledged for 30 minutes! He called the Coastguard, confirmed his details, cancelled the distress call and removed the battery. The set has been sent back to Standard Horizon and he is waiting to hear what is the issue.